Hi all! I hope you week is going well. 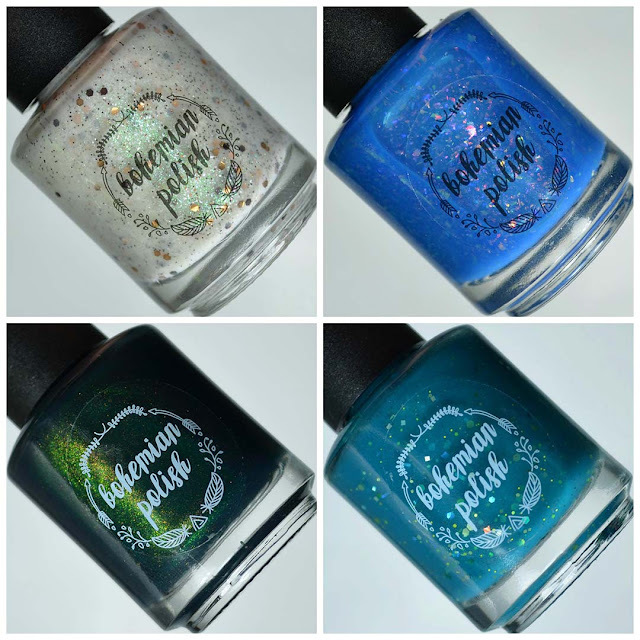 This week I have two upcoming Bohemian Polish collections to share with you. 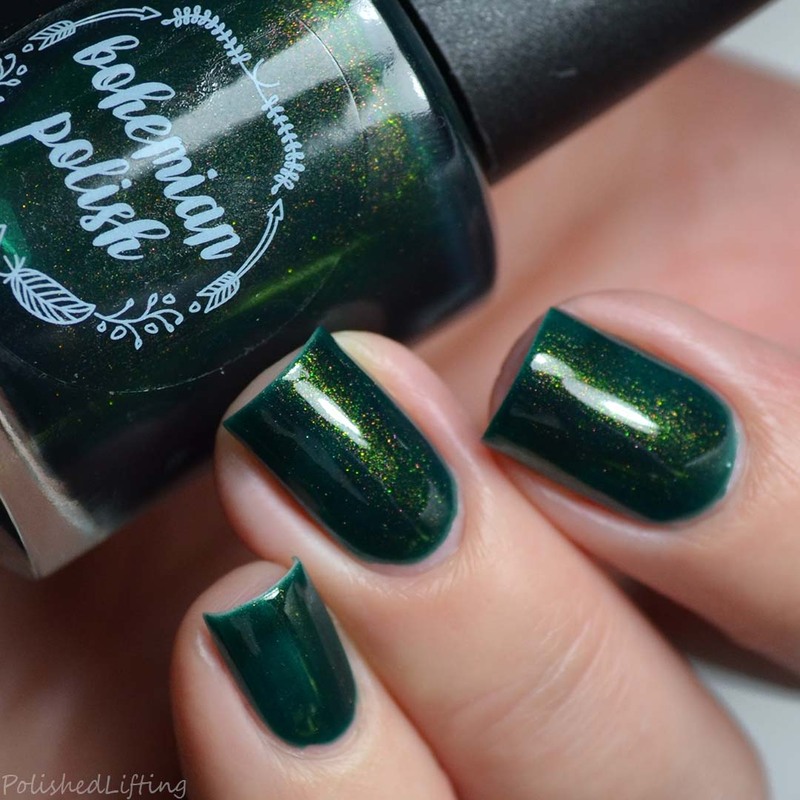 Today's post will feature the Bohemian Polish Fall In Love With Autumn collection. It's a four piece collection inspired by all things autumn! Notes: S'mores Code is so dang cozy. I'd love nothing more to curl up around a campfire with s'mores and a good book right now. I think Jen did a great job capturing the essence of s'mores while making them pretty. 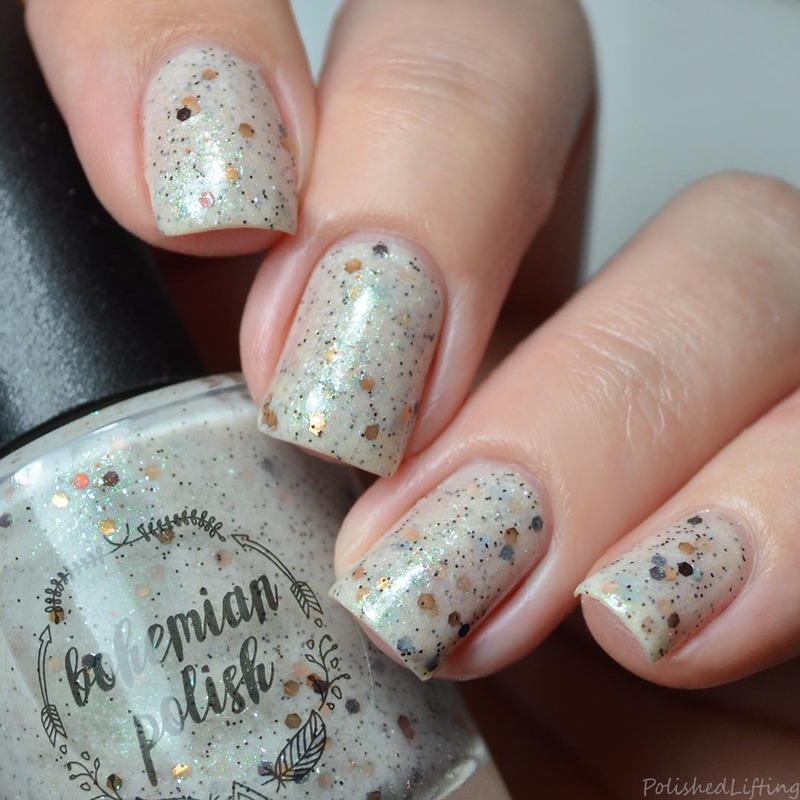 Notes: The color shifting flakies in Unbeleafable really make this one special. I love bright blue for autumn because it reminds me of the crisp air. This one is a must have imo. 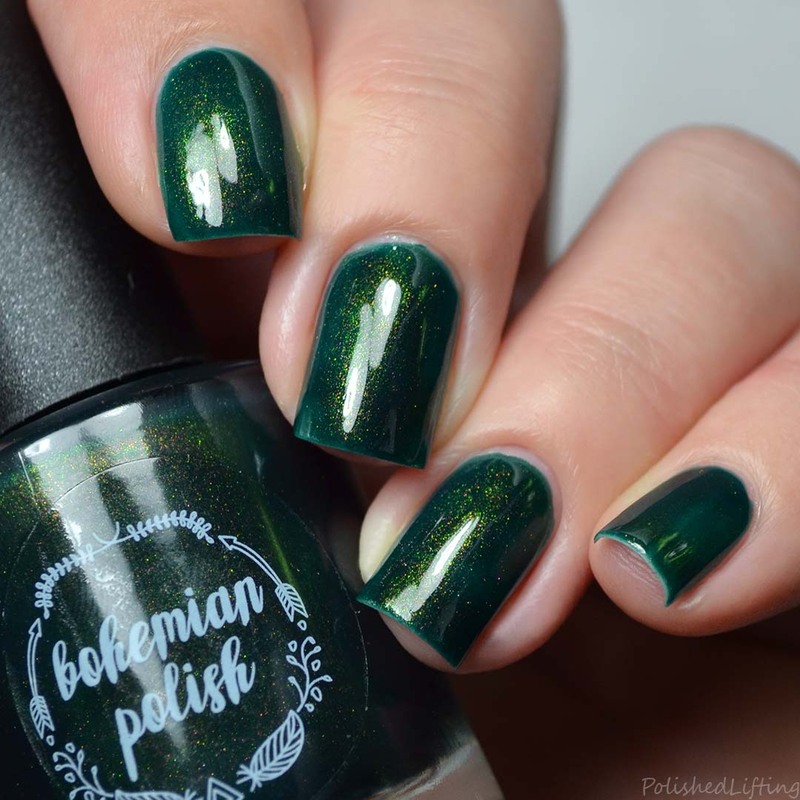 Notes: First, it's green! 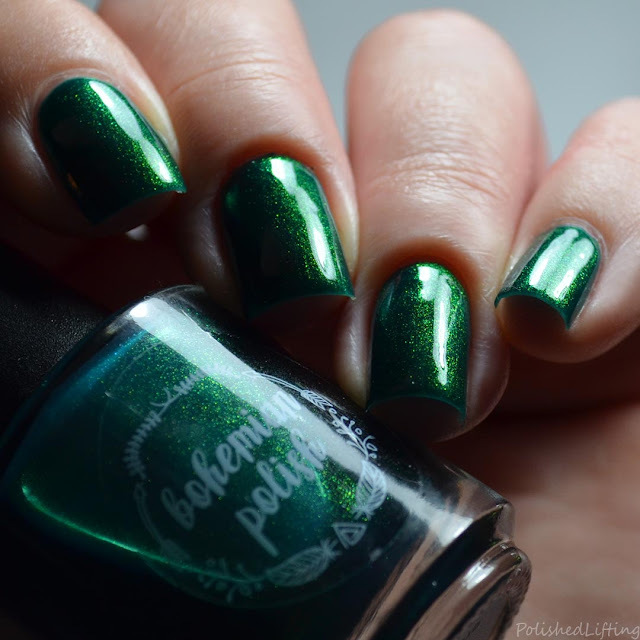 Not just any old green, but a beautiful, shifting delight that sums up exactly how I feel about this shade. Hello Gourdgeous is going to get a lot of love this season! Notes: You really can't have autumn without some flannel (at least not in the PNW). Channel the Flannel has me hunting for a matching shirt! The Bohemian Polish Fall In Love With Autumn collection will be available on Monday, October 1st. If you enjoyed this post you might like Bohemian Polish Natural Witch Wax & Party Pumpkins Duo | 31dc2018 Challenge and Bohemian Polish Sweet Kitty Woman | 31dc2018 Challenge.